-Download File and move somewhere in your SD Card where you can easily find it. -This is not rooted so Root it using King Root. Use only King Root, it is the only one I tested that will not have issues with busy box. If you want to Port this ROM to other devices, please give proper credits or say thanks. E-Mail me at marcuz6275@gmail.com or add me at Facebook, search me using the same e-mail. is the same for 166 L? 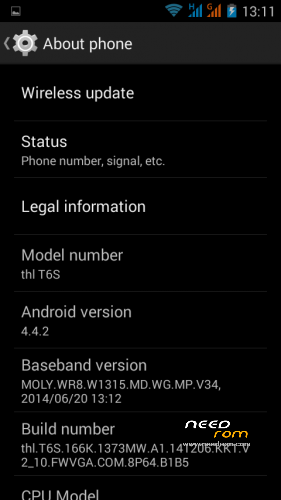 can i flash this rom? Have'nt really tried it on other versions, but my groupmates on our FB that has 2PT Touch Version flashed this and it works fine on their unit. I'm using the 5Pt Touch Version of T6s. Anyway west001 and Boombik can you test it? just be sure that you make a backup in CWM before flashing. Rstore your back-up if it wont work. This ROM is Installed VIA Custom Recovery(CWM or Philz Touch Recovery). You should first port CWM or Philz on T6s. Can anyone confirm it works on 2 point version that comes with .CX rom? Also unit noed does not have cwm. If I apply cwm will I loseexisting data? i dont realy get what your trying to say, but if you mean if you apply that Stock ROM using CWM you will not loose any of your app? then as long as you dont do a full wipe, all your apps will be intact. That is if your are using a stock ROM on the first place. Anyway if you use this ROM and is not compatible with the version of your T6s, the worst thing that could happen to your phone is bootloop. If that happens, just restore your CWM backup. Trie and tested this on 2 PT Touch Version of T6s Sold in the Philippines. You could always use Titanium Backup Pro to Backup all your data and Apps. No I meant if flashing the cwm or carliv recovery can mess the phone and lose data (afak titanium does not always restore user data).Phone has no custom recovery now, stock. and btw do you mean I can flash this rom over original stock rom and do not wipe data partition? finally is there anything to gain by this 2015 rom? I dont really know whats the advantage of that ROM, I just made that because I dont want to use SPFT to change Back to Stock ROM when I change to a Custom ROM. 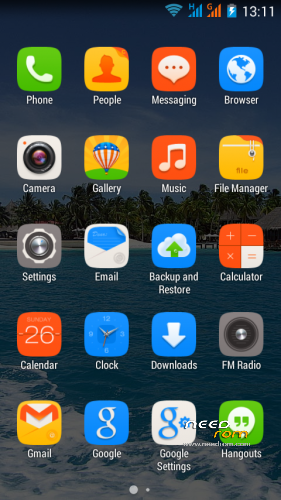 If you are already using Stock ROM, you can just Flash It Directly without doing a Wipe Data/Factory Reset. Or alternatively you can create a backup in CWM or Philz, and just restore Data After Flashing that ROM. 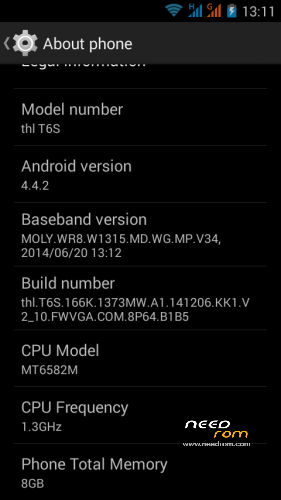 I have a much more uodated version of that, Build #: thl.T6s.166K.13173MW.A2.150123.KK1.V2_10.FWVGA.COM.8P64.B1B5. I've created Odexed and Deodexed version. ho istallato this rom, ma l'aggiornamento OTA non funziona: meglio funziona Nel senso Che scarica l'aggiornamento ma al Momento di istallare da errore.qualcuno ha lo Stesso Problema? can flash this using spflashtool? 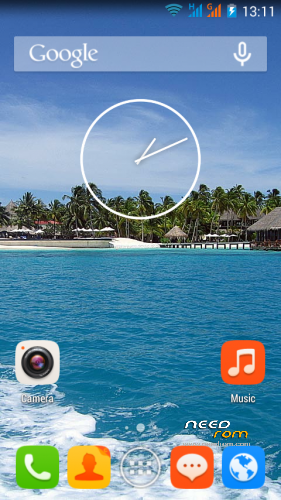 bakit po ganon nung nag'flash ako ng custom rom..
at pwde nyo poba ako matulungan para maibalik yun….